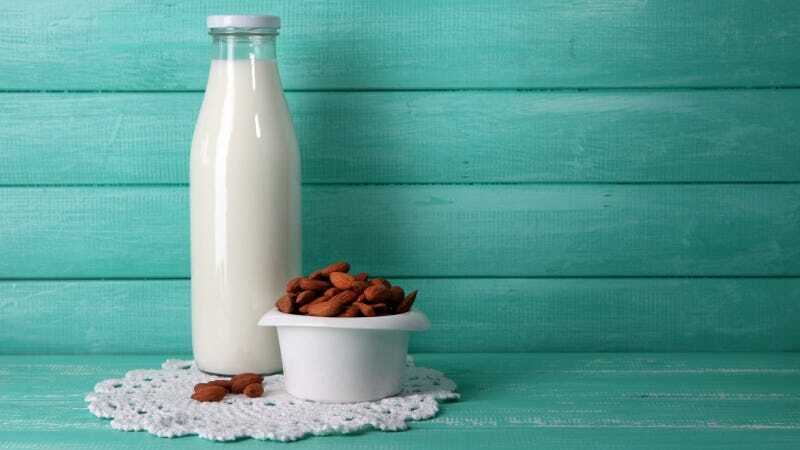 Next time you reach for almond milk in the supermarket, imagine a chorus of dairy farmers standing behind you, asking if you’re really gonna spend your money on that... stuff. Whatever it really is. California is tops in the U.S. for both dairy production (about one-third more than No. 2 Wisconsin) and almonds (80 percent of global output). Land in the state devoted to almond groves has been steadily rising — 350,000 acres (141,640 hectares) added over the last decade, enough to double the crop to more than 2 billion pounds, according to Rabobank International –- while the state lost about 10,000 milk cows this year through July, a 0.6 percent drop from 2015. Frankly, the longer you think about any of it, the grosser it gets.